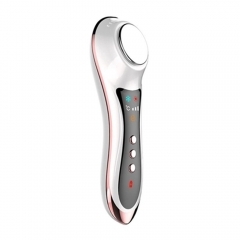 The ultrasonic beauty instrument is controlled by smart intelligent chip. Each course is automatically set according to the standard time of 15~20 minutes. It will not cause the adverse reaction of the skin because of improper operation or too long time. 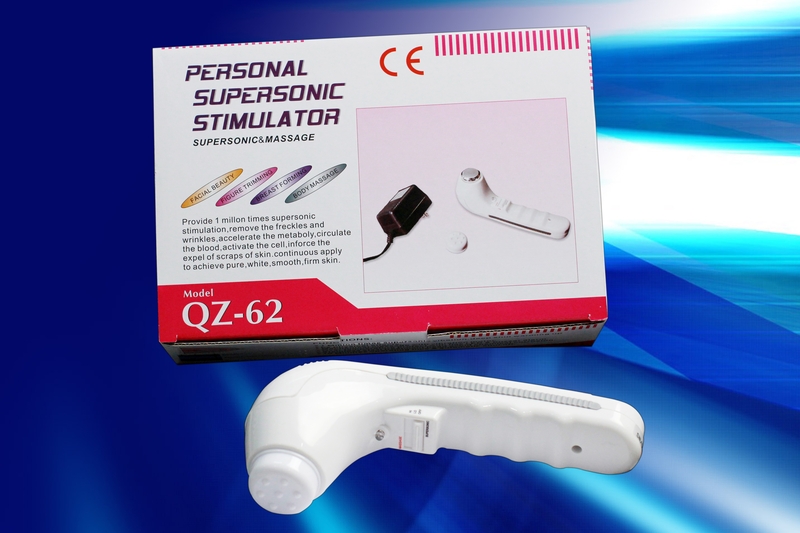 Ultrasonic beauty instrument is a mechanical vibration wave with a frequency over 10 thousand Hertz, which has a mechanical, warm and chemical function. 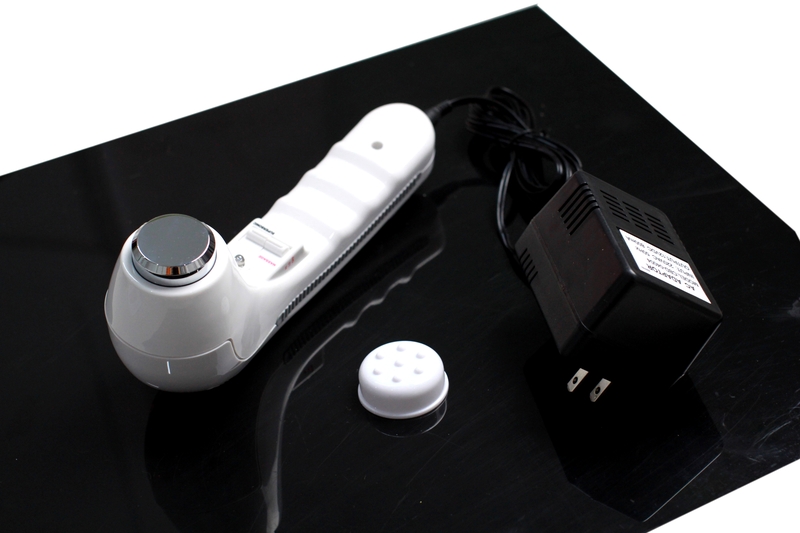 Ultrasonic beauty instrument is the purpose of using the characteristics of ultrasonic penetrating power and deep subcutaneous 4~6 centimeters in human body and face to achieve weight loss and whitening to improve skin quality. 1. The ultrasonic power is strong and the energy is great. The function of the face can make the skin cells vibrate, produce a fine massage and change the cell volume, thus improve the circulation of the local blood and lymph, enhance the permeability of the cells, improve the metabolism and regenerative energy of the tissue, soften the tissue, stimulate the nervous system and stimulate the nervous system. The function of the cell makes the skin glossy and elastic. 2. The ultrasonic beauty instrument has the intelligent nutrition import / clean export function, which can clean pores, clean face and detoxify, nutrition import, whitening light class, tight wrinkle and thin skinny face. 3. The power red Skin Power live muscle energy effectively activates cells, proliferates bone collagen, and skin becomes tender and smooth. 4. The blue ray is effective in anti-inflammatory and anti-acne, and fines pores to regulate the balance of skin oil and grease, and reduce the formation of glossy face and acne. 5. 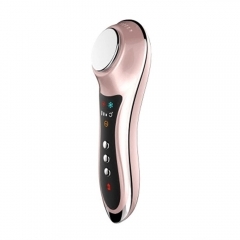 The ultrasonic beauty apparatus has the function of nutrition introduction, which is 2 times stronger than the general ultrasound or iontophoresis, and the skin is better absorbed. 6. The ultrasonic beauty apparatus can enhance the function, effectively activate cells, proliferate bone collagen, and skin becomes tender and elastic. 7. The ultrasonic beauty instrument burns fat function, effective warm softening fat, promote metabolism, thin body thin noodles efficiency. 1. Clean the facial skin, then spray the machine for ten minutes. 2. Use suitable water to pat on the face to absorb every part, so that the skin can be thoroughly sterilized and best protected. 3. Evenly apply the essence to the face and make sure that the head is flexibly rotated. 4. Switch on the power supply, select the appropriate outlet and connect the ultrasonic probe. 6. Adjust the appropriate time, usually 15 minutes. 1. 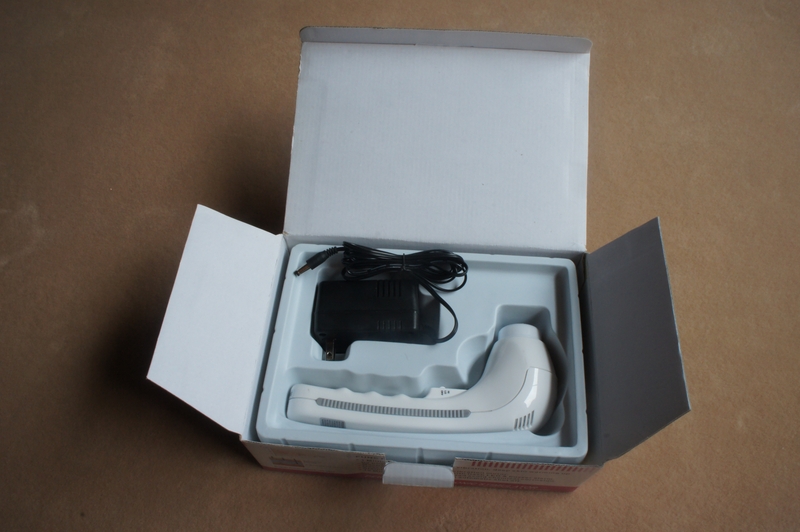 Before using the instrument, the skin of the physiotherapy part should be cleaned first, so that dirt cannot enter the skin with ultrasonic wave or prevent the penetration of ultrasound. 2. The use of medium is best to have a certain viscosity, which is conducive to better integration of ultrasound and skin, to prevent gaps caused by reflection and adverse absorption of sound energy. 3. Each physiotherapy segment is usually 15~20 minutes, too long or improper use will lead to skin overwork and malabsorption. Users can choose the right time according to the size of physiotherapy parts. 4. The degree of the heat of the probe does not mean the output of ultrasonic power. Small concentration of water or medicine should not be directly penetrated, otherwise it will cause dry skin. 5. When using the instrument, the probe should not be near the eye, not through the eyeball, and be forbidden by pregnant women and serious heart diseases. 6. Water and oil and other media cannot penetrate into the instrument, not hit and knock and heavy throw to avoid damaging the instrument. 7. 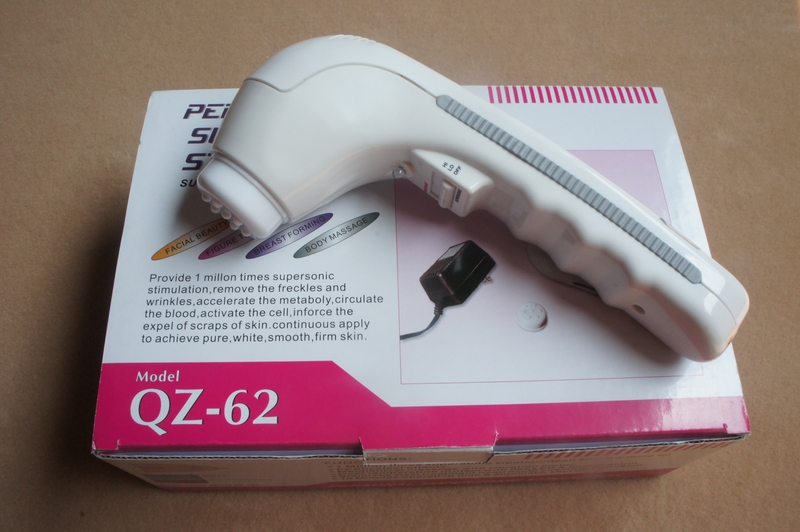 When the ultrasonic beauty apparatus is used, please clean the probe in time and disconnect the power supply.